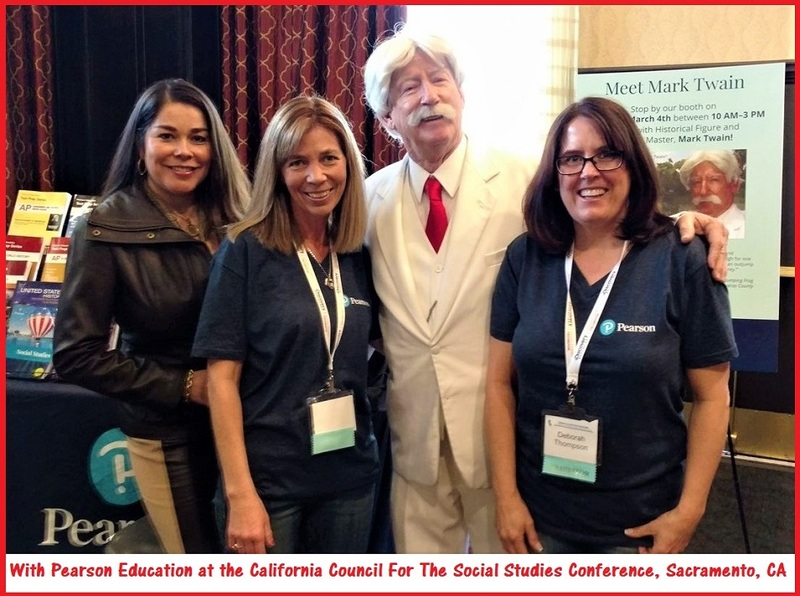 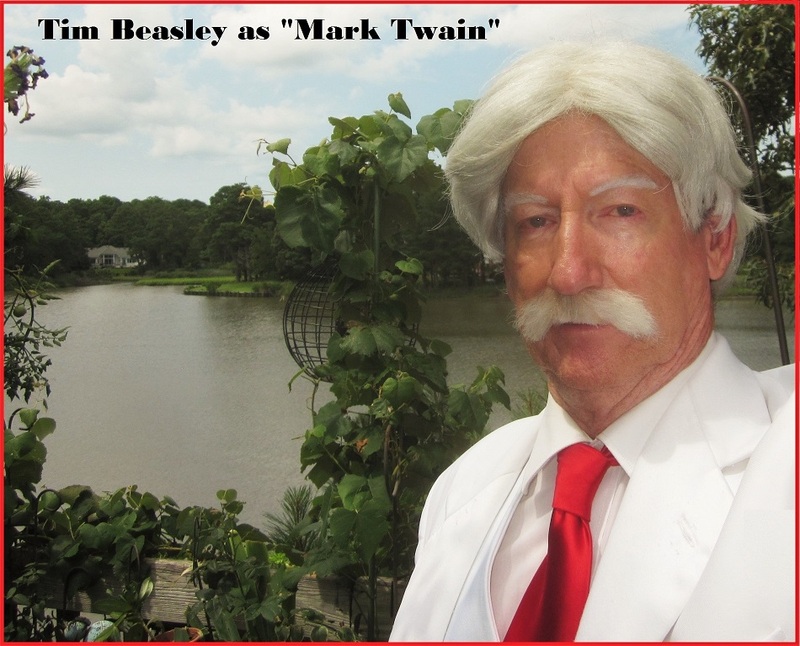 National speaker and historical actor Tim Beasley as Samuel Clemens "Mark Twain." 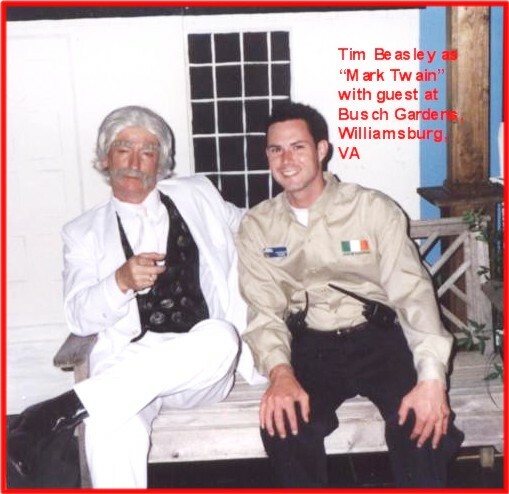 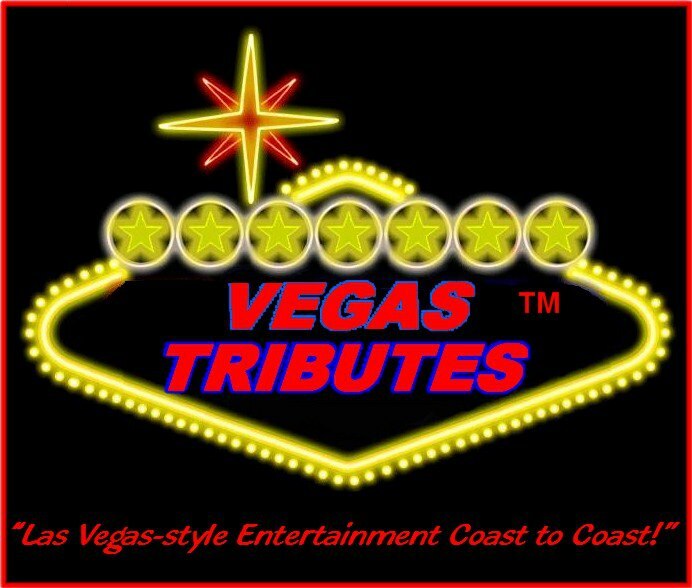 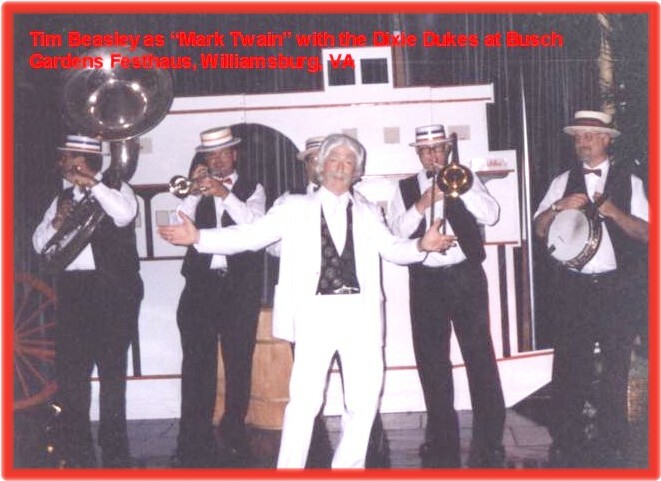 Tim has entertained on stages coast to coast for all manner of special events in his wide variety of tributes to all American icons such as "Mark Twain," "Ronald Reagan," "General Patton," Orville Wright," 'Teddy Roosevelt" and "Edgar Allan Poe!" 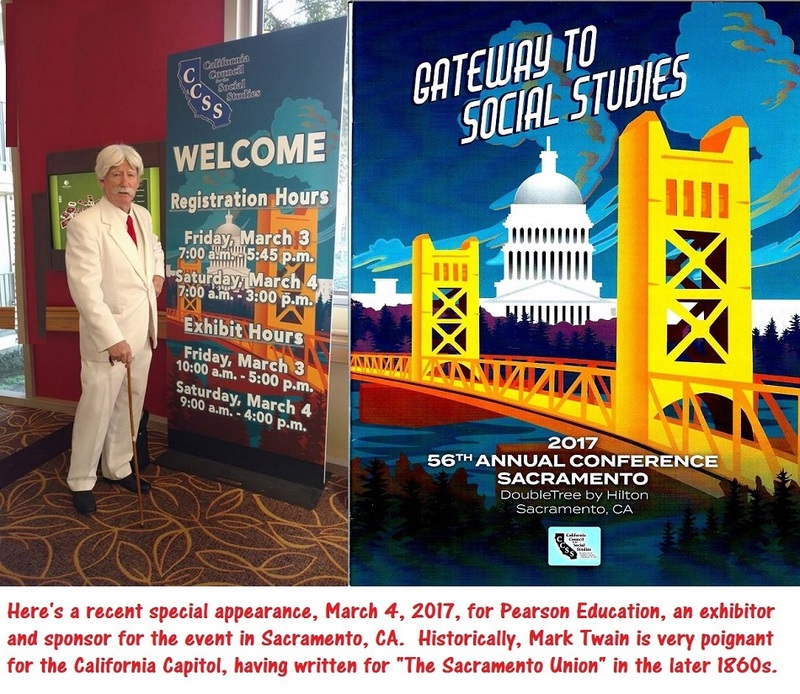 Tim will present his talk as "Mark Twain" and also interact with all of the guests for a lively and humorous evening of grand American memories. 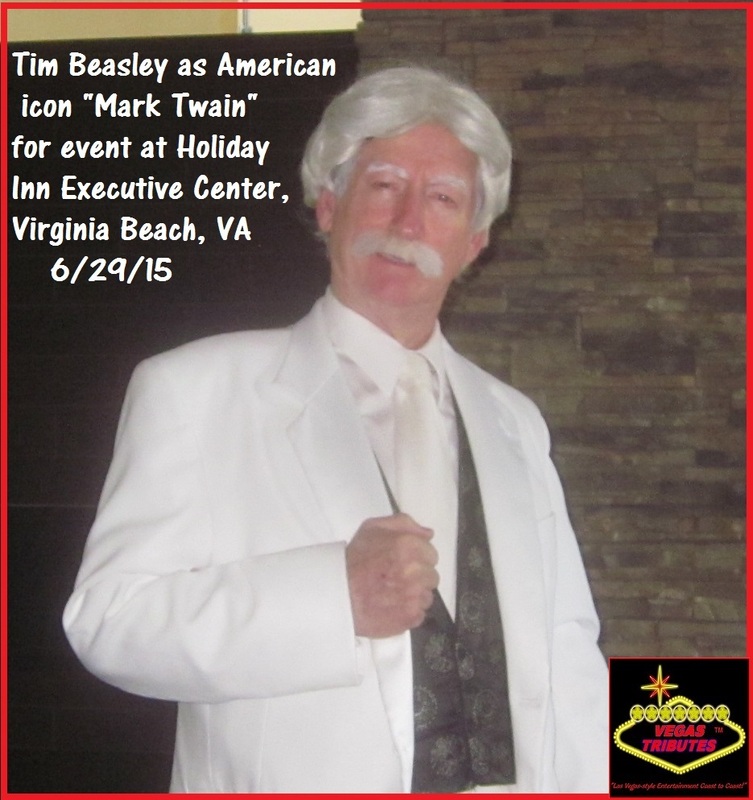 Booking nationally for your all American history & literature events! 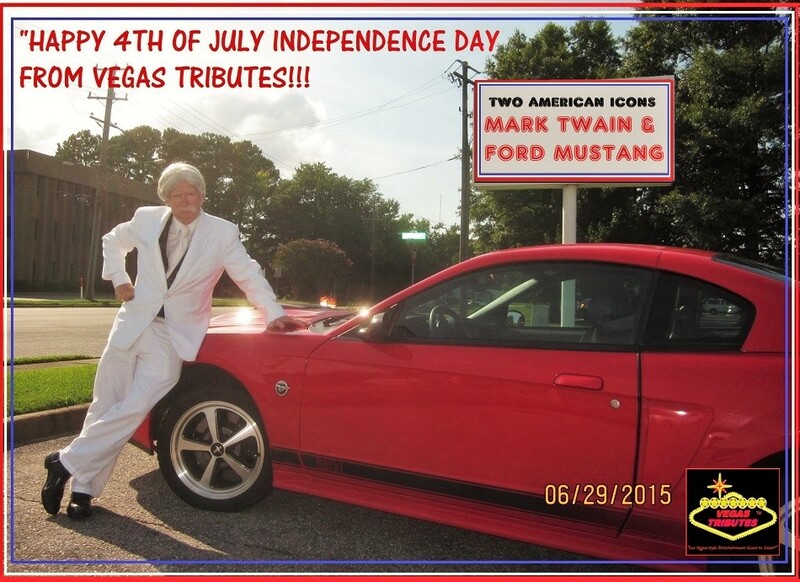 Please call, we love to talk, just like "Mark Twain!"